Want to shine bright in school? Our School Stars learning helpers are packed with amazing extras that give you the edge in class. 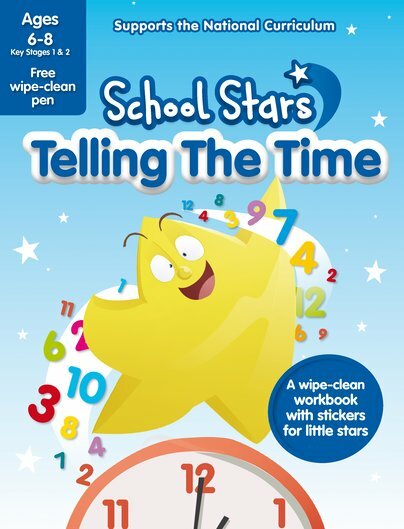 Such as this book: with lovely bright stickers and wipe-clean activities to help you tell the time. What time is it? Soon you’ll be answering that question in seconds. You’ll learn about units of time, and find out how to read clocks of many kinds. These colourful games and puzzles make it really easy. Wipe away mistakes and have fun trying again!